The Human Genome Project is the latest scientific phenomenon with far reaching implications in the understanding of genetic diseases affecting humankind. A 10-year multinational project was initiated in collaboration with the National Institute of Health (NIH), USA and the European Consortium to sequence the entire Human Genome. The giant project was finished ahead of schedule with the identification of all functional genes. 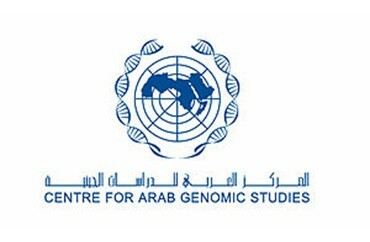 Under the directives of His Highness Sheikh Hamdan Bin Rashid Al Maktoum, Deputy Ruler of Dubai, Minister of Finance and Industry and the patron of the awards, the members of the Board of Trustees and the General Secretariat are pleased to announce the establishment of the Centre, known as "Centre for Arab Genomic Studies" (CAGS). We are pleased to announce the official opening of the CAGS office on Wednesday 25 June 2003 at 11:30am, in the Genetic Centre of Al Wasl Hospital, Dubai. A growing number of human diseases have been found to have a genetic basis. In the Arab world, genetic diseases represent a major public health problem due to the high rate of consanguinity and lack of public awareness. Genetic studies on the Arab populations would represent the principal way to address these diseases. CAGS will be the forum at which collaborative research is fostered and supported, aiming at identifying and elucidating the genetic basis of diseases in the Arab world as well as at supporting preventive approaches to genetic diseases. CAGS is established through an endowment bestowed by His Highness Sheikh Hamdan Bin Rashid Al Maktoum to bring together diverse expertise, in the field of human genetics and related areas, from the Arab world. The vision of the planners of this Centre is to alleviate human suffering from Genetic Diseases in the Arab World through the work carried out by the centre or by any of its potential collaborators. The Mission of this Centre is to characterize genetic diseases, prevent their occurence and alleviate suffering from human genetic disorders in the Arab countries based on the recent advances in human genetics and information available from the Human Genome Project. To identify disease-causing genes in the Arab population and develop a database of genetic diseases prevalent in the Arab world. To bring together diverse expertise and resources in the filed of genetics and related areas in the Arab world, promote understanding between experts and facilitate multidisciplinary research through supporting highly qualified investigators. To prevent genetic diseases by providing comprehensive genetic services by translating research achievements into well-integrated patient treatment programmes. To develop a centre for excellence in Dubai for genetic research and clinical services in the Arab world. To address the ethical, legal and social issues that may arise from the project. To implement the strategies for a financially independent centre through revenue generating approaches.